Trafalgar Square one of the world's most famous places for protests and gatherings. Even the pigeons attempt large assemblies which hawks are brought in to manage. great shot! so nice to see a different perspective on a fav place to visit when I am in London! My daughter and I compared photos after visiting Trafalgar Square last year. I had lots of statues and fountains and buildings. She had pigeons (but then she's 9 and pigeons are much more interesting than old buildings!). Love the focus in this photo. Nice and atypical shot. 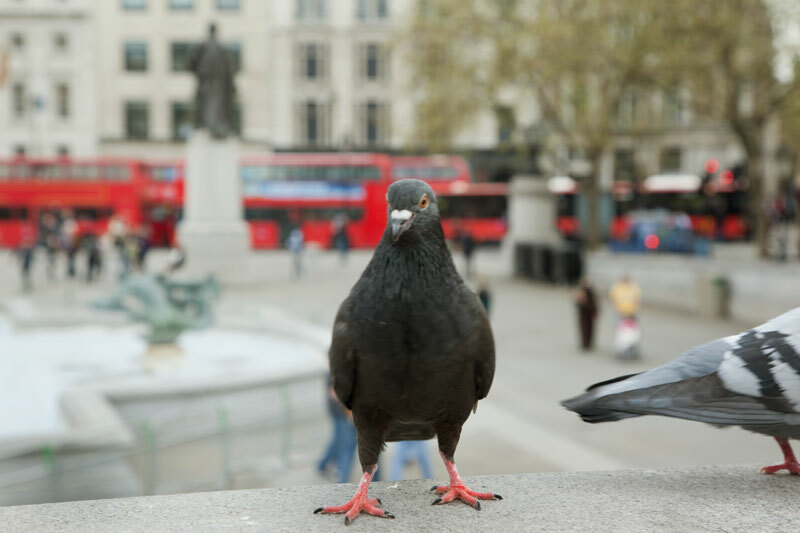 There are pigeons everywhere, but we tourists try to look beyond that. A pigeon piece to move around a Monopoly Board would be fun. I love this Monopoly Series Mo! It has been so much fun to drop in and follow along. Thank you for all of these tidbits. very good choice , this pigeon is posing for you !